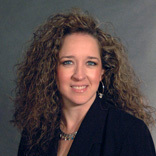 Christie currently serve as the Assistant Director for the Correctional Management Institute of Texas, and have been with the Institute for over 20 years. In addition, she has served as the Executive Director of the National Association of Probation Executives since 2005 and more recently as the Executive Director of the Texas Corrections Association since 2015. She also has been part of the College of Criminal Justice Adjunct Faculty since 2012.